FRESNO, Calif. (KFSN) -- The Fresno Police Department is asking for the public's help in finding and identifying the two men captured on camera stealing from trucks at the Frito Lay Plant in Southwest Fresno. Between January 12 and February 3, there have been more than four calls about people breaking into the Frito Lay trucks. 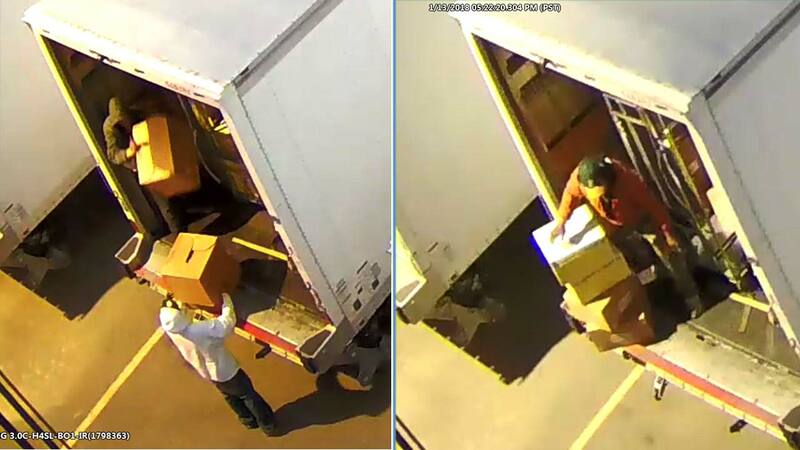 Police say two men are cutting the locks on the trucks and stealing cases of chips. The two men have taken around $1,500 worth of inventory. The men in all four instances are described to be driving an older white pickup truck. On one separate occasion, the men arrived on bicycles. If anyone recognizes them or comes into contact with the two men, please call Detective Ariana Kasparian, Southwest Investigations. (559)-621-6130 or if you wish to remain anonymous you can call (559)-498-STOP (7867).